For my viewing habits, I’d say this is a rather obscure title that I happened to catch on a late night TCM showing. 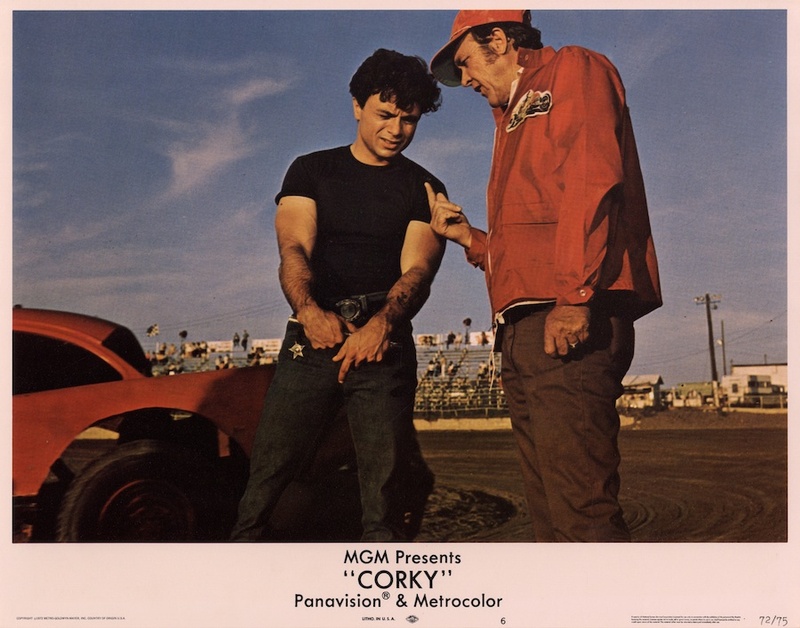 Not being a racing car enthusiast has never stopped me from watching a film that revolves around the sport and it’s the cast that drew me into this story of stock car racing that in reality had very little to do with the overall direction of the film. 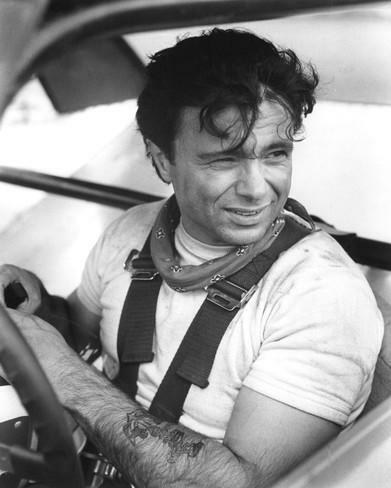 The cars and the sport itself serve as a backdrop in what amounts to a character study of Robert Blake’s Corky Curtis. A self destructive second rate driver who wants to escape from the sideshow races and make the bigtime with his heroes Petty and Allison. I had assumed I was about to sit in watch a good ole’ boy story with Blake front and center. Something like a Burt Reynolds feature of the late seventies. Far from it. Blake is a hot dog, Cocky Corky might have served as a better title for this Leonard Horn directed feature that also has surprisingly cast Charlotte Rampling as Blake’s Texas bred wife. Blake works down at a local car garage overseen by boss Patrick O’Neal. Always hard to like on screen, O’Neal dabbles in stock car racing as an owner and has quickly tired of Blake’s on the track antics, stripping him of his driver duties. Blake picks up another car and will go out of his way to wreck O’Neal’s ride and leave the driver who has taken his place badly injured. This proves to be only the tip of Blake’s mean streak. 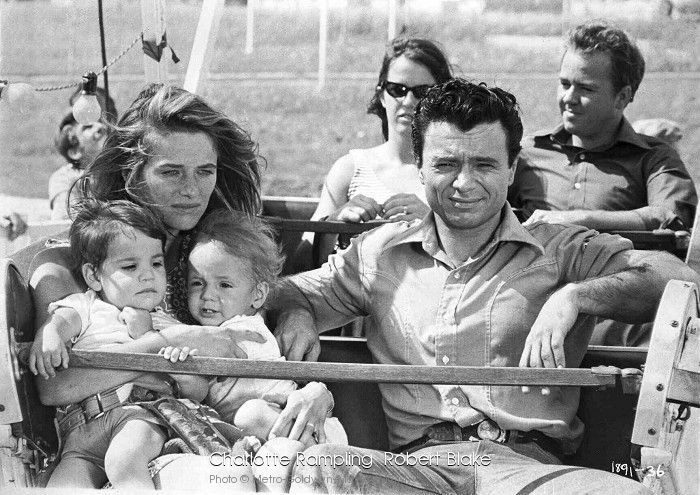 Guilt, mixed with a desire to make good on the track while at the same time shedding his responsibilities, Blake runs out on Rampling and their two small children. He’s headed to Georgia with pal Christopher Connelly in tow. He aims to race his way across the country picking up prize money from various tracks along the way. This brings them briefly into contact with one of those great character players on screen that one has a hard time trying to spot “acting.” It’s Ben Johnson. He’s running one of the many tracks the two will race on while making their journey. Less than a month following the release of this flick, Johnson would be taking him his Oscar for The Last Picture Show. I was actually a bit surprised that he didn’t receive the “and Ben Johnson” billing here but strongly suspect that had this been released after the Awards night, he probably would have. Due to his destructive nature, Blake will burn most every bridge he makes leaving himself destitute, broke and friendless after Connelly wisely deserts Blake’s hot tempered Corky who looks to be inevitably headed towards committing a serious crime. When his dream at the end of the road offers him no more than what he had back Rampling and working for O’Neal, he turns full circle bringing himself back where it all started but doesn’t like what he’s to find. I can’t say I liked this flick overall as it’s just to much of a downer for me. Though I haven’t seen his hit TV series Baretta in years, it’s my recollection of the show as a kid that has always left me liking Blake’s on screen look from the decades of the seventies. To a little fellow, he had this “cool” presence about him that the camera seemed to capture. Ironically, in the film he has that same effect on some of the local kids who like his car and know he’s a minor racing celebrity in his hometown. There are some minor cameos in here by some racing stars of the day for those into the sport who might be looking to add it to their shelves next to the die cast models and flags on the wall. Honkytonks, bar room cuties and folk/country music fit into the overall look of the film but it just comes off as a bit of a bore for me. While we all know how Blake’s career ended, he did have a very distinctive persona on film. Yes he was a child actor in the forties but had he been an adult at the time, he might very well have been playing roles in the John Garfield mold. An interesting bit of trivia concerning Corky is that according to the IMDB, Roddy McDowall had filmed a scene that was left on the cutting room floor. Damn! Anyone out there seen this who think I’ve got it wrong and champion the film? I should like to recommend: ‘Johnny Dark’ (1954). This is a most entertaining film, with a good cast: Tony Curtis before he began to take himself too seriously, Piper Laurie and Don Taylor, whom you may remember from: ‘The Naked City’ (1948), and the ever awful: ‘Father Of The Bride’ (a waste of Taylor and Joan Bennett). There is also Ilka Chase in an uncharacteristic role. In spite of its cliches, the film is worth watching – particularly if one loves cars. Been years since I saw that one on TV. Back when flicks like this would show up on late night television. Don’t really recall much and haven’t a copy. Always a Curtis fan and Piper was easy on the eyes. 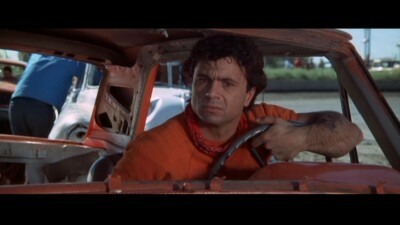 Robert Blake is exceptional in “Electra Glide in Blue”, so love that film. Oh I’ll be looking forward to that very much. I have the original soundtrack with a great booklet. I love the image. Not only have I never seen this one, but I’d never heard of it, either. What an odd title (or name for a lead character, for that matter)…nowhere but in 1970s cinema! And how about this: the most recent Robert Blake movie I’ve ever seen is ‘Treasure of the Sierra Madre’, where he played ‘Mexican Boy Selling Lottery Tickets’. I didn’t even know I had it here till I started going thru my cases of discs. Probably snagged it a few years back and had to look it up on IMDB to see why I recorded it! Sierra Madre easily the best film Blake ever appeared in. In Cold Blood a distant second.